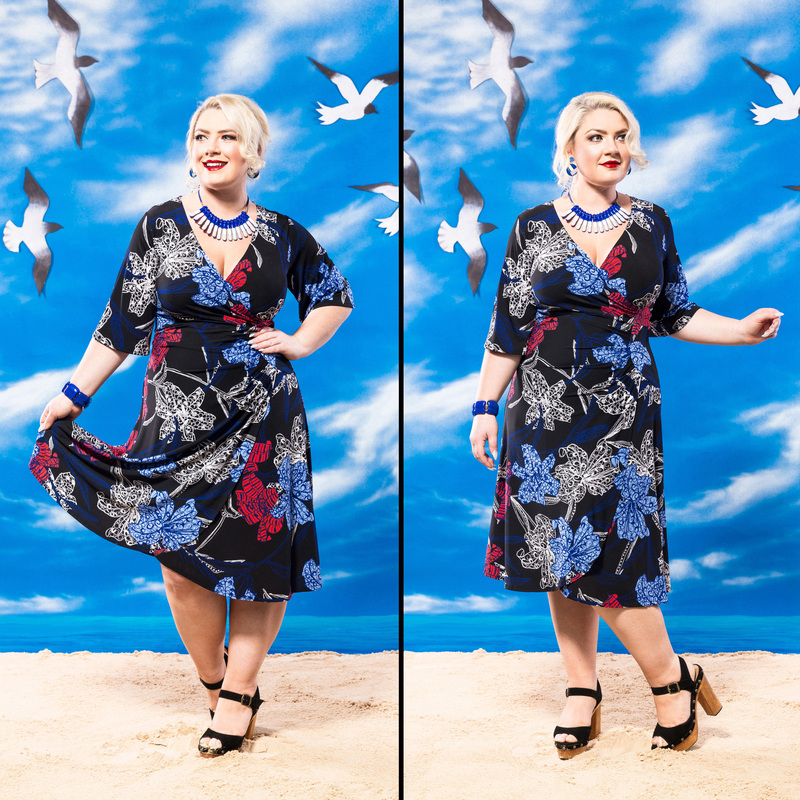 Gorgeous Amy is looking radiant in the La Femme Faux Wrap Dress in PARFUM. With the convenience of a slip over dress, this super flattering faux wrap features 3/4 bell sleeves and pleating from a curved side panel. It also falls to the knee line, making it a very wearable frock.